Rembrandt’s “Storm on the Sea of Galilee” is one of 13 works of art that were stolen from the Gardner Museum 25 years ago. 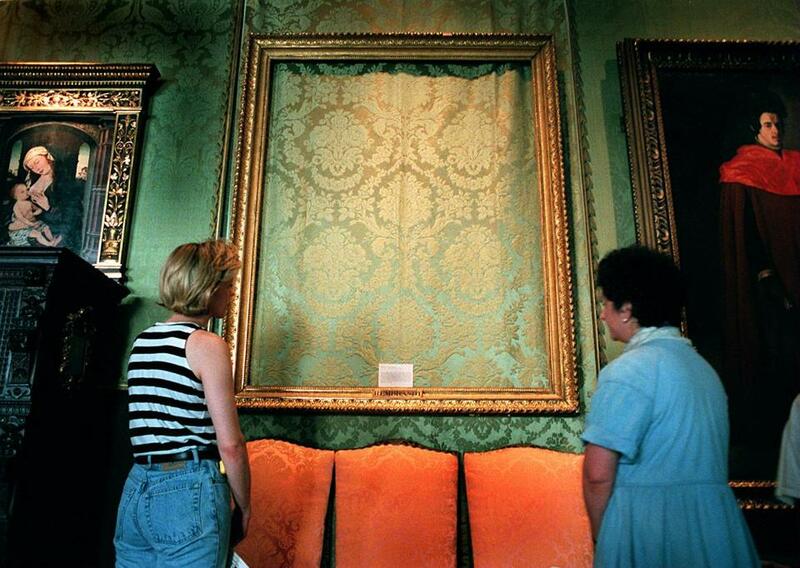 After decades of frustration, the FBI ought to try opening its files on the Gardner Museum heist in hopes that fresh vision will help crack Boston’s most notorious unsolved mystery. The theft of 13 priceless works of art, including Rembrandt’s “Storm on the Sea of Galilee,” 25 years ago on March 18, left a gaping hole in the city’s cultural landscape. The FBI has worked hard to find them, and appeared to be close to a breakthrough two years ago. But as another anniversary passes, and witnesses who might have useful information get a year older, the bureau should enlist the public’s help in a more robust way. In 2013, the bureau and the museum announced that they believed they knew who stole the paintings, and identified them as “members of a criminal organization with a base in the mid-Atlantic states and New England.” Apart from that, though, investigators didn’t make much specific information public. Instead, it created a dedicated FBI website and displayed billboards in the Philadelphia area, where the bureau thinks some of the art may have ended up. The publicity generated tips, but no art. Typically, criminal investigators reveal as little information as possible before making an arrest, mostly to avoid tipping off targets, but partly to discourage irresponsible bystanders from trying to take matters into their own hands. There are enough fresh examples of the dangers of crowd-sourced criminal investigations — just think of the false accusations after the Marathon bombing — to reinforce that conventional wisdom. But the Gardner heist is different. Getting the art back to its home on the Fenway is far more important than actually arresting anyone. The statute of limitations for the robbery itself expired long ago. And normal investigatory practices clearly haven’t paid off. That’s not to fault the FBI, which must balance seeking lost art with more life-and-death matters. What the case needs is help from the public, and piquing its interest will require both disclosing all available details — you never know what might jog someone’s memory — and embracing more creative approaches to engaging the public. One tool that wasn’t available in 1990 may help: social networking. In a well-known 2009 experiment, a team at MIT tapped social networks to find 10 red balloons located at random locations across the continental United States. By offering rewards not just to tipsters, but to those who forwarded the information, they found them all in less than nine hours. That type of approach may or may not help find the Gardner art. But authorities need to do something to reboot the investigation.